Between 80th and 79th streets at “AVALON” sign on Center Median. Avalon, NJ. 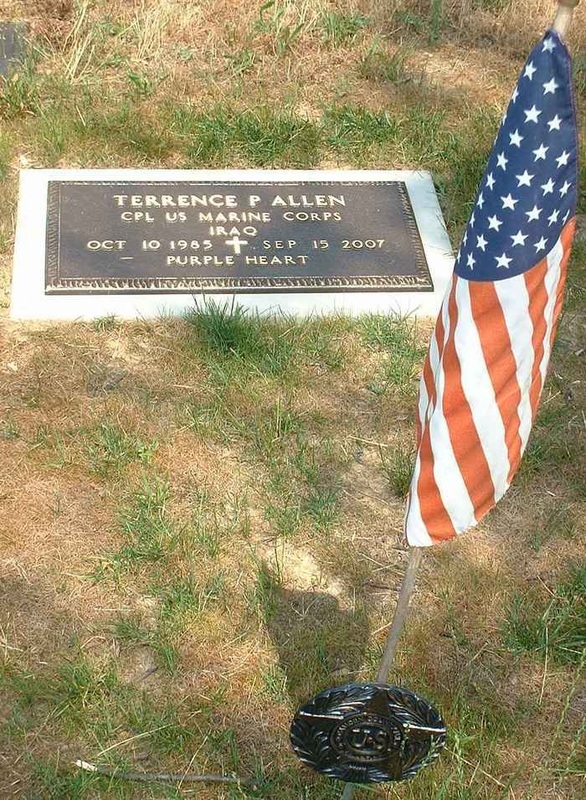 ​Hometown: Pennsauken, New Jersey, U.S.
Died: September 15, 2007 in Operation Iraqi Freedom. 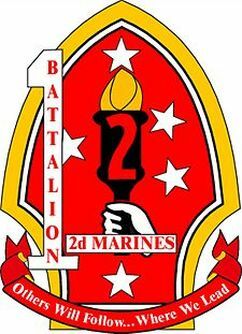 Unit: Marines, 1st Battalion, 2nd Marine Regiment, 2nd Marine Division, 2nd Marine Expeditionary Force, Camp Lejeune, N.C.
21 year old Marine Corporal Terrence Allen of Pennsauken, New Jersey was shot and killed by a sniper just hours after talking to his parents about coming home on September 18, 2007. He was at Al Asad Air Base in Anbar Province, ready to leave when he was killed. 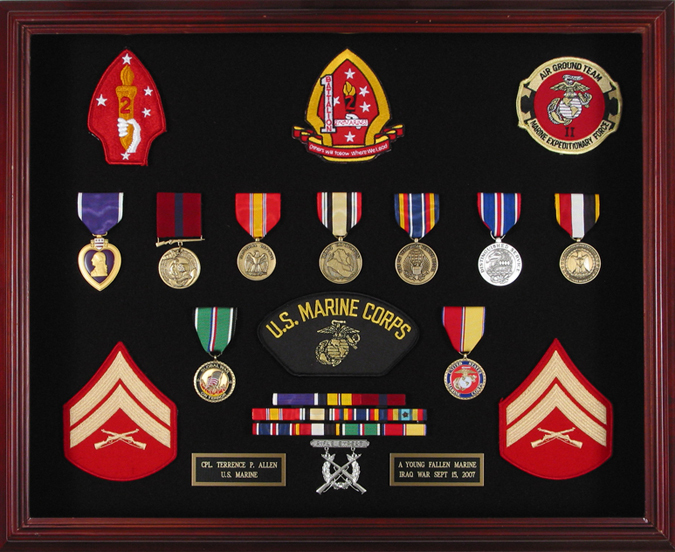 He was on his second tour of Iraq and was about to start a new assignment in the training division in Camp Lejune where he would have been training other Marines in the United States. Born in Marlton, NJ to John N. Allen and Connie L. Parke. He was a former football player and track sprinter at Bishop Eustace Preparatory School. While on the football team, he was a running back, receiver and defensive back. He really prided himself on his fitness and that was one of the reasons he wanted to be a Marine. He signed up for the Marines while he was still in school because he wanted to serve his country. He graduated from Bishop Eustace in 2004 as a honour student. In February he was married to his finance Catherine that was from Upstate New York, they met while he on duty in Iraq as a pen pal. He is survived by his mother, father, younger sister and his new wife Catherine. They were married in a civil ceremony right before he was deployed, but they were planning a bigger event when he got back. Cpl. 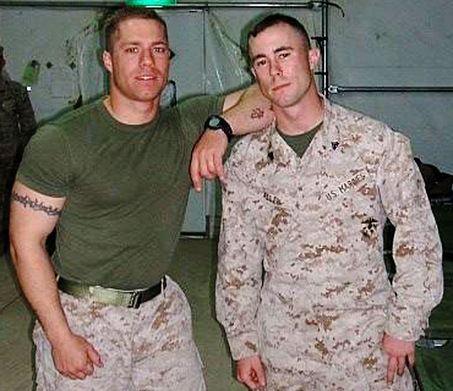 Terry Allen, right, with his friend & fellow Marine Josh.